Beach lovers take note! This recently updated condo is only one block to the ocean and ideally positioned to enjoy the close proximity to the heart of Dewey Beach yet tucked back and far enough away to capture peaceful beach days and evening sunsets over the bay from your double balconies. Being sold fully furnished and turn key this is the beach getaway you have been looking for! It's the largest one bedroom condo in this building. Never rented and in pristine condition, it sleeps 4-6 people comfortably with a rental potential of $20,000 per year. Brand new flooring, stainless steel appliances and granite countertops in the kitchen. You'll love the conveniences and added amenities that Marina View presents to you like the rooftop pool, lounge and outdoor kitchen with BBQ grill, beach storage locker, bicycle racks, outdoor showers, spacious lobby/ lounge area that offers free cable and WiFi. There are TWO parking spots and video surveillance. PLUS owners receive a discount at the Marina slip offering you water access for all the water activities you can think of right outside your front door! 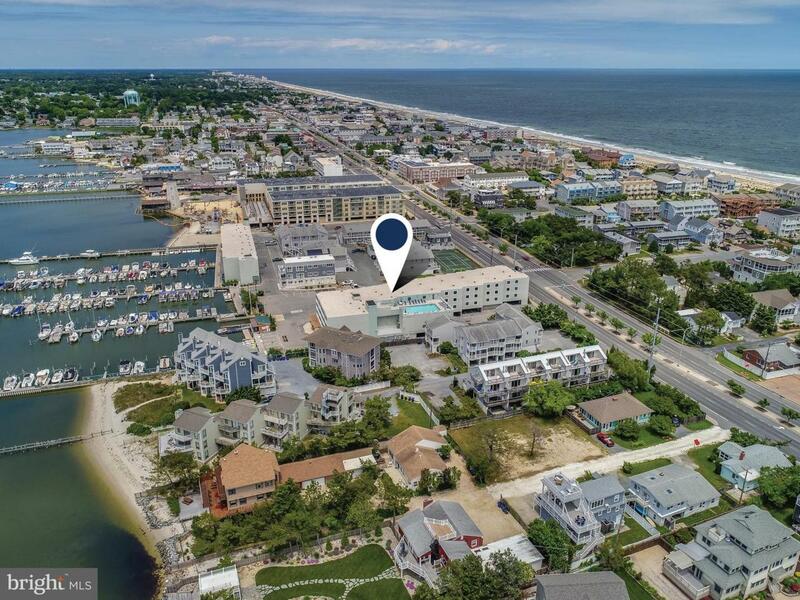 Summer is just around the corner - don't wait to see this rare to the market SPACIOUS one bedroom TURN KEY condo waiting for you between the Atlantic Ocean and Rehoboth Bay! Be sure to check out the video of this listing. The bird's eye view shots are pretty incredible!